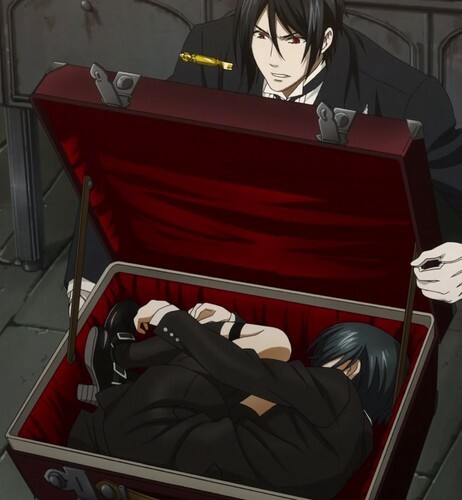 Ciel in a suit case. looks like Sebastian got one of those "shouta in a box" deals at wallmart >.<. HD Wallpaper and background images in the Ciel Phantomhive club tagged: photo ciel phantomhive suitcase season 2 sebastian michaelis golden butter knife black butler kuroshitsuji. This Ciel Phantomhive photo might contain kayamanan dibdib.